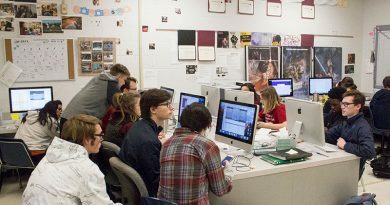 Google Docs is quickly becoming a crucial component of may scholastic journalism newsrooms around the country. It allows an organized copy system and staffs are not tied to school computers for editing. They can edit anytime, anywhere, as long as they have the internet. Check out how one student copy editor organized her Google Doc files last year. It may be a good starting point on how your staff can organize theirs. Betsy Blanchard, current Managing Editor of the North Star newspaper from Francis Howell North was Copy Editor of the North Star during the 2008-09 school year. She took some screenshots and made a few notes within to help explain her system. Click on the embedded ISSUU file to see a large version of her system. You can also download the PDF if you would rather. Not exactly sure what Google Docs is? Check out: Using Google Docs with High School Publications.